Creates a magnificent entrance to the driveway. Features spear shaped finials and circular scrollwork. Provides enhanced levels of security. Available to order online in a choice of sizes the Balmoral wrought iron style driveway gates will create an imposing look to any entrance thanks to the fleur de lys finials and circular scrolls whilst the heavy duty steel framework will ensure the gates provide strength and rigidity at all times. 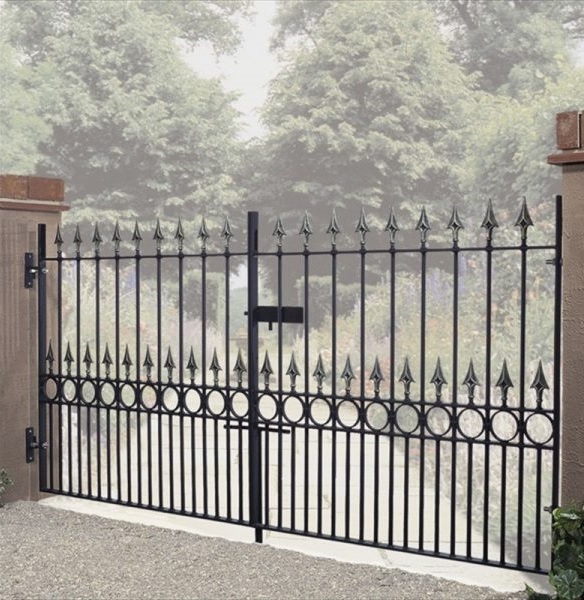 Double gates are suitable for any style of residential property. Manufactured using 40mm x 10mm frames and 16mm solid metal infill bars. Gates are supplied with adjustable hinges, sliding latch and drop botls. Balmoral wrought iron style driveway gates have a factory applied black primer finish ready to be painted with at least one coat of exterior grade paint before you fit them. 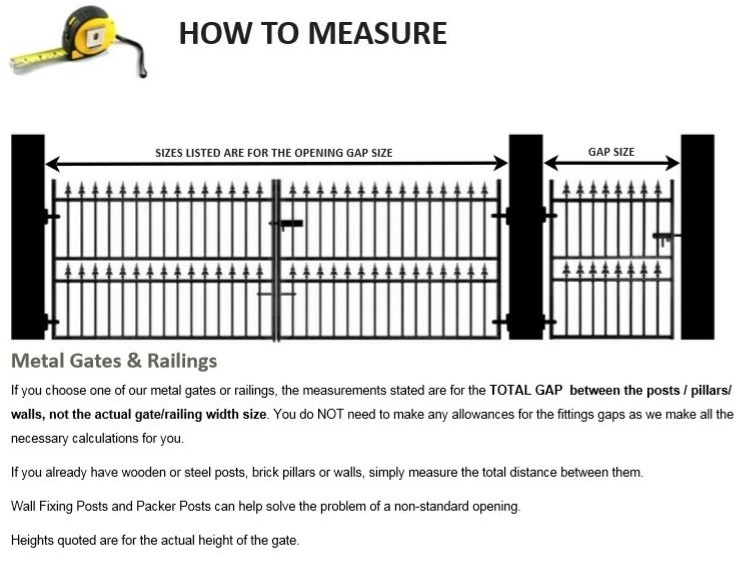 Looking for hep or advice choosing a new pair of driveway gates? Contact us by phone or email, read the measuring guide or have a look thorough the FAQ`s. 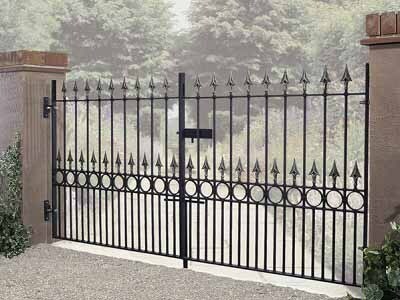 Do you need metal posts to complete your Balmoral driveway gate installation? If you want the gates fitted with a heavy duty mortise lock (in place of the standard sliding latch) or would prefer a rust resistant powder coated paint finish please call us on 0844 804 5577, email sales@gardengatesdirect.co.uk or fill in our online enquiry form and we will be on hand to provide support and discuss your options.